Foot square show coming up and wanted to do something fun. I love shoes (is there a woman on earth who doesn’t??) 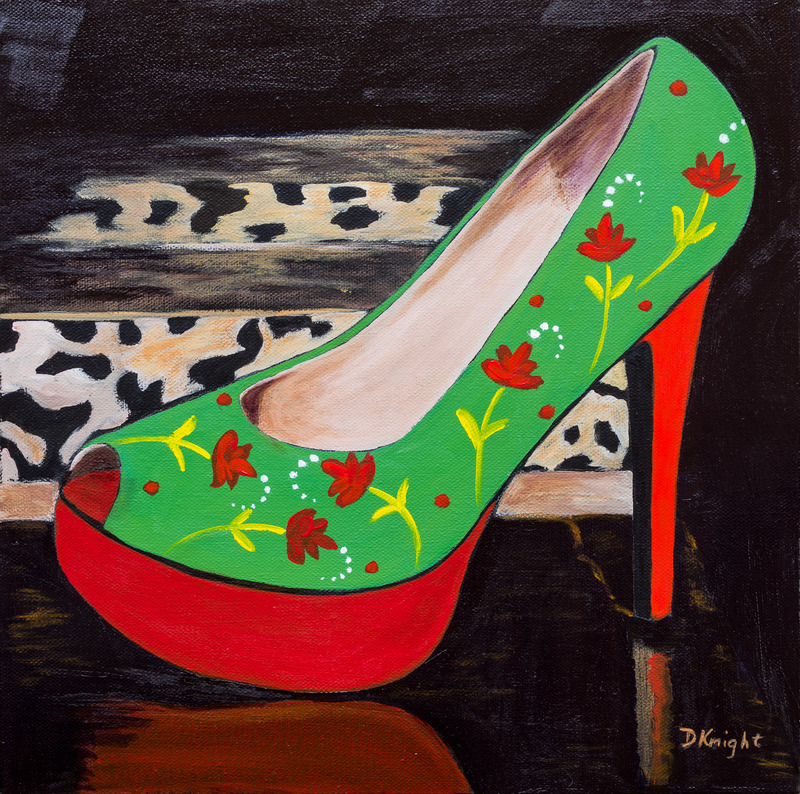 and I love colour, so I decided to do a trio of paintings of shoes. This first one screams of spring with a killer red heel and sole.